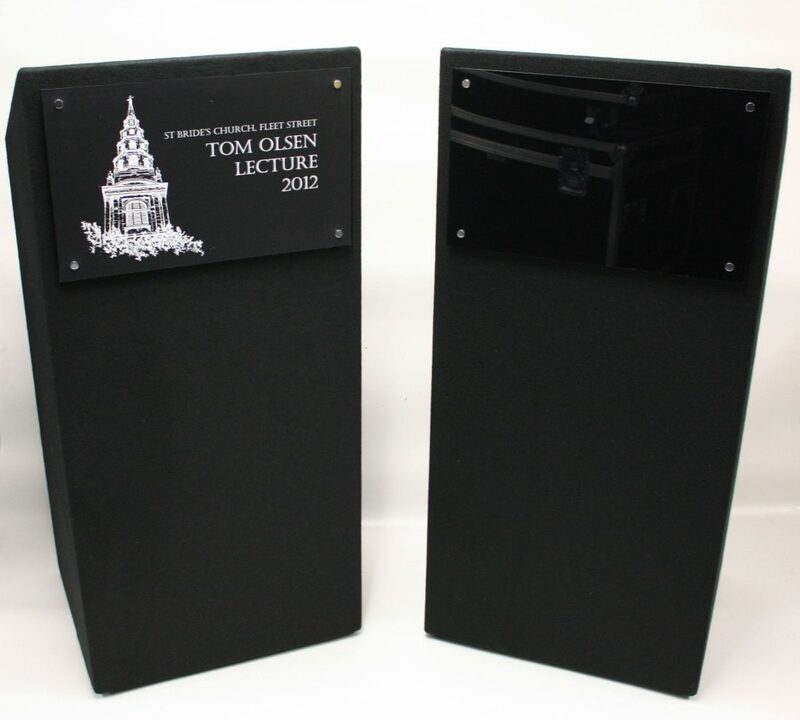 Due to popular demand we have made our very own custom lecterns. Made from wood and covered in felt, the lectern stands at 1m high and 45cm wide. 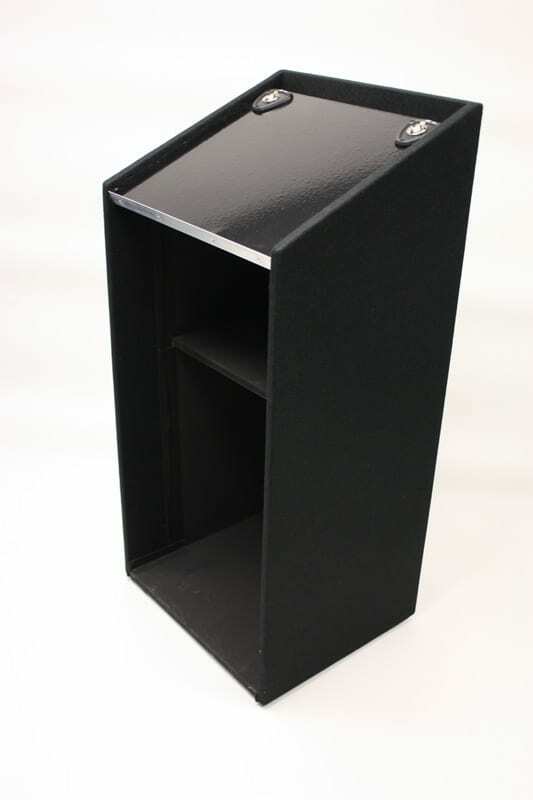 The standard colour is black but you can have any colour to match your brand or event theme. The perspex board can hold a sponsor logo or you can leave it unbranded. We have also custom fit lectern microphones holders to the inside so that all cabling is hidden from view.